You have an entire galaxy suspended within your skull, this galaxy is largely made of active little units known as neurons. You have as inconceivable a number of these neuronal “brain cells” as there are stars in the milkyway and as many connections between them as there are stars in the known universe. Your brains’ neurons and their supporting cells-their glia and astrocytes- continuously interact and integrate, passing neural information through complex sequences of connections in order to form the polyphony of activity that brings about your being. This cranial galaxy is your brain, the realm of your intellect, your imagination and creativity, the kingdom of your consciousness. There are a whole host of blogs, websites, journals and magazines dedicated to the neuroscience and psychology of the human brain, many of which are maintained by scientists, writers and researchers far superior to myself with many more years experience working within the field of brain research and science journalism. Why, you might wonder, have I decided to dive into this ocean of brain-science reporting when the weight of my inexperience will certainly see me sink under such depths of knowledge and expertise? The most direct answer to this question is a personal, overwhelming captivation with the nature and ability of the human brain, something I have become increasingly more aware and appreciative of over the past few years. The human brain has abilities that in many ways outstrip those of any other known object in the cosmos. As far as we know it is the only thing capable of comprehending that the cosmos is even there or that algebraic equations can be used to represent higher dimensional objects, or that gravity keeps us attached to the Earth or that it itself exists. As the house and home of the human imagination the brain is also the only known object that can transcend the physical realm and propel itself safely into the future and back again, that can predict and protect itself against potential abstruse dangers, that can, at the toss of a coin, create for itself the image of a purple elephant singing Shania Twain on a cruise ship or of flightless penguins hopping from cloud to cloud to visit their polar bear pals in the North. Scientists have come a long way in their quest to track, map and understand the many feats and functions of this industrious mass of matter. It might come as a surprise to many that the brain wasn’t always considered so essential for human life or mental processes. Ancient medical practitioners held contrasting views on the significance of the brain. Aristotle (4th century BC), for one, argued that the heart, not the brain, was responsible for sensation, movement and mental activity. By the 2nd century AD however, through dissections and observations of the effects of brain injuries, the true import of the brain for much basic human functioning was widely acknowledged. The brain was increasingly dissected, drawn and described throughout the Renaissance period resulting in the flourishing of fresh insights into its workings. Flashing forward to our present understanding, we live in a time in which huge advancements have been made in our ability to research the brain. Such methods and techniques, including neuropsychololgical testing of humans, behavioural analysis of animals, manipulation and measurement of brain-behaviour interactions, require their own series of blog posts which I shall endeavour to provide in due time. The technology that has been developed within the field of neuroscience is also worth a special mention. Most exciting of all are the tools that have evolved to non-invasively peer under the human scalp and skull so that, for the first time in history, we can view the galaxy within as it functions in real time (this is a subject I will ensure to cover in future posts). These are truly remarkable developments and a testament once again to the intellectual and creative capabilities of the human brain. It should be fairly evident at this stage that the brain is indeed astonishing, astounding, thrilling, perplexing and a whole host of other exuberant adjectives. The means in which we have learned many of its various functions and abilities are also decidedly impressive. And yet, to be completely honest, those are not the main points that have poked me into penning these words. What excites me most in fact, is how discoveries made in the realm of the brain sciences can explain so many important aspects of human nature, and ultimately, can highlight the underlying universality of our species. What many do not realise is that deep inside we are so much the same, the details might be different but we are each walking the same internal path. We have the same worries, the same fears, the same aspirations and motivations. Research into the human brain is bringing this realization to the fore. Neuroscientists have discovered that we each have a similar system for processing information, for creating, calling on and colouring memories, for feeling and moving and sensing and breathing. Our emotions, our memories our thoughts and personalities can to a large extent, be traced back to our underlying neural wiring. Our brain fires, prunes, grows and adapts and, correspondingly, we breathe, feel, think and connect. The undeniable conclusion is that, underneath everything, we all share a common control system, a common neural-network guiding our days. What this also means is that people with certain mental illnesses, personality disorders or perceptual inabilities are not “crazy”, nor are they lying about their experiences. These people have brains that are in some way damaged or different to yours and mine. 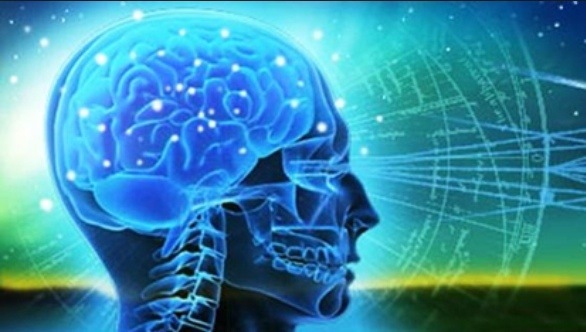 Understanding and appreciating the role of healthy brain functioning and how the brains of such people might differ from a “normal” brain can lead to higher levels of understanding and societal tolerance for their cases as well as a greater chance at improving their disorders and their overall quality of life. And so, to sum up what was intended as a brief first post, why should we concern ourselves with understanding the human brain? And why do I feel like my words on the subject deserve a space to be aired? Both you, me and the other inhabitants of our 21st century world have a unique privilege in that we have come to understand so much about the human condition and are coming increasingly closer to a fuller understanding of ourselves and others through building on our knowledge of the human brain. This is something that needs to be expressed. This is something I feel a need to express. While it has been and is being done by minds much more knowing than my own, I feel a deep-seated desire to contribute my little bit, to put forward my own few words, to unload my own thoughts about thoughts and the mind and consciousness and the neural basis of the human condition. To present my understanding; that life as we know it is all in our head. For we each have an entire galaxy suspended within our skulls, and each of these galaxies are connected by the universe that is human experience. And this is exciting, and humbling and inspiring and this is something that deserves every drop of appreciation, however small it might be. I like this piece. It reminds me of quantum mechanics v’s special relativity, the tiny v’s the huge and the quest to bring it all together. I am not sure if the human brain/mind has the capacity to understand all about itself, however it’s damn good fun trying. Look forward to your next installment ! I did not see my brain like that. But it is true that we have much to learn about this dark and fascinating area, the human brain. Good post.